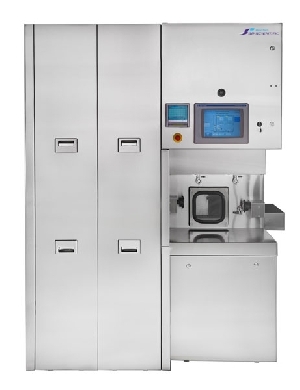 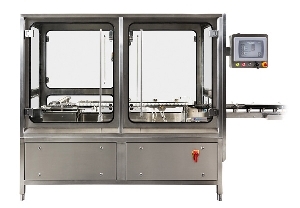 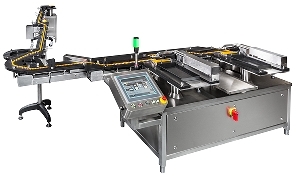 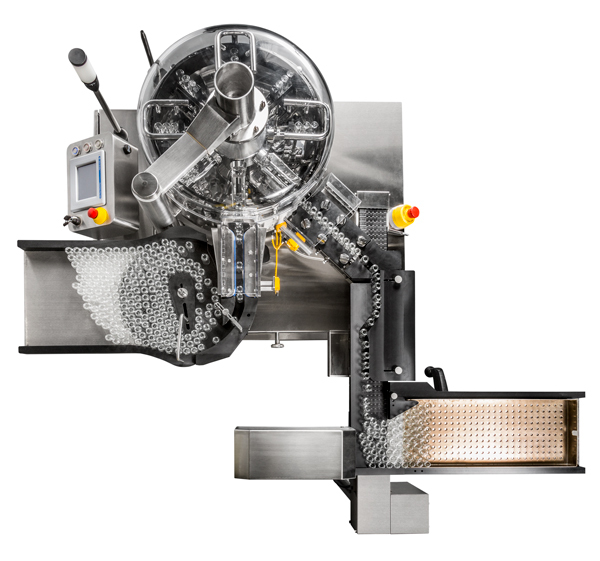 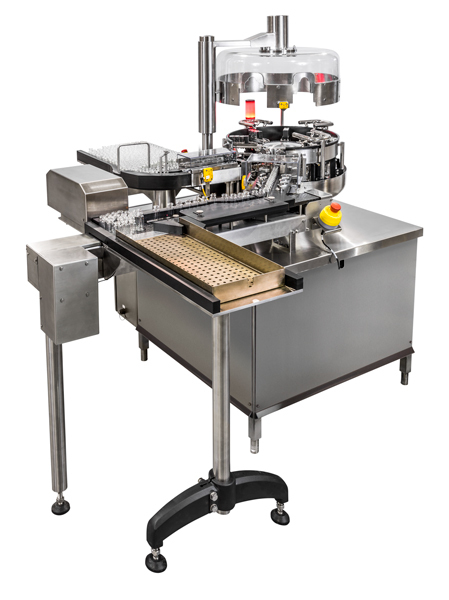 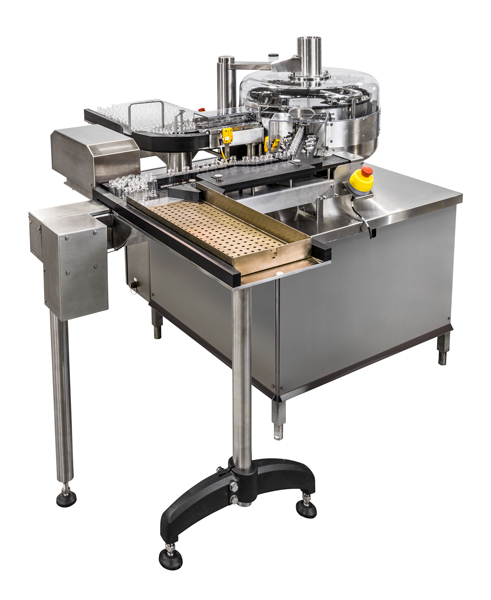 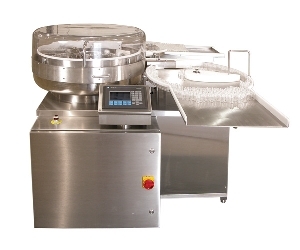 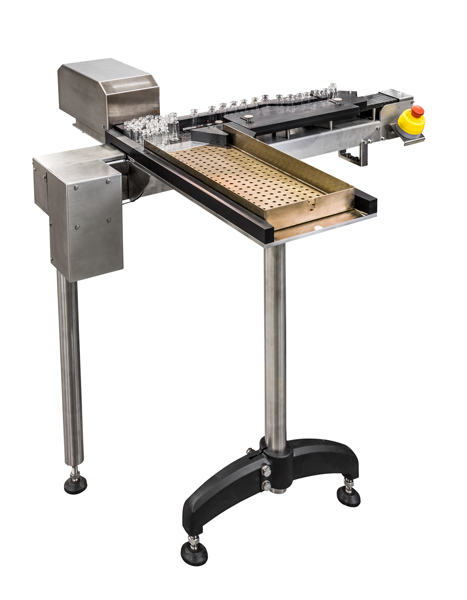 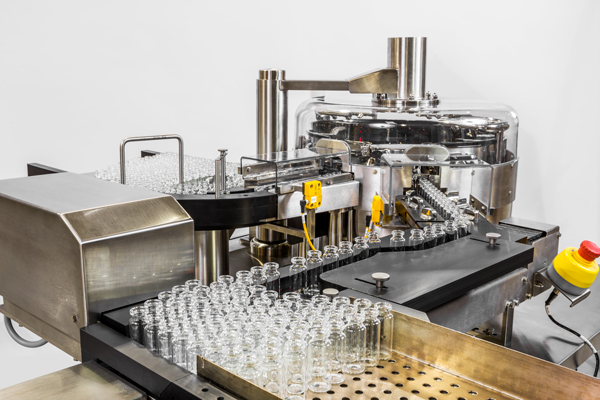 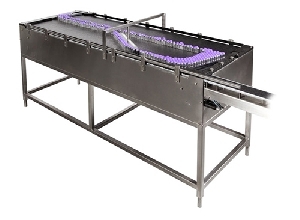 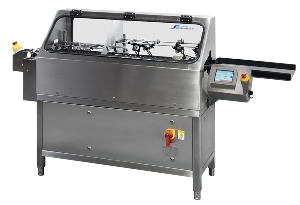 Vial washing with automatic trayloading is made possible on the RW-500TL. 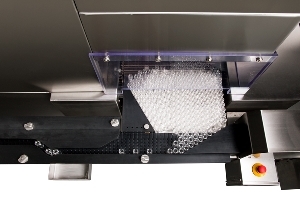 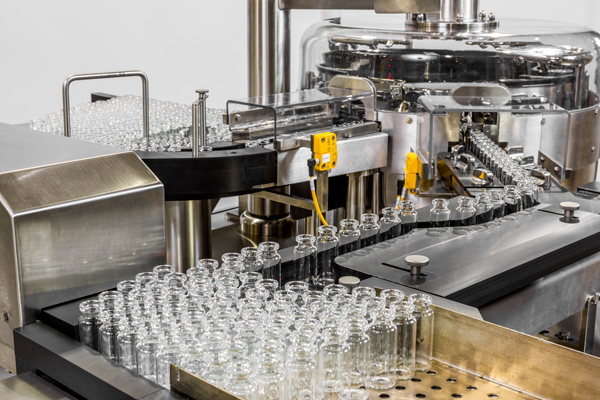 An ideal batch vial processing system for low-to-medium volume output requirements. 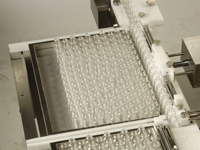 Vial range 2-100ml. 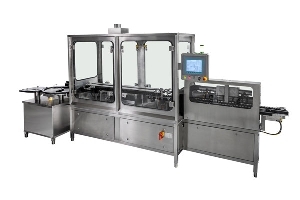 Output up to 100 vials/minute. 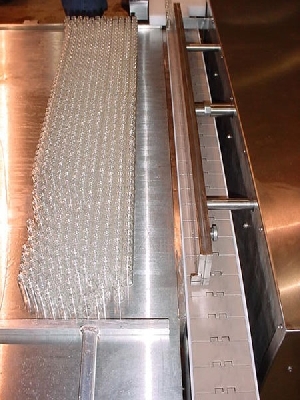 The trayloader does not require change parts. 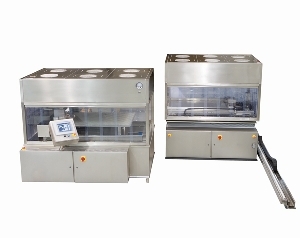 To maintain cleanliness, the outfeed of the washer and the trayloader can be placed under a Vertical Laminar Airflow Unit. 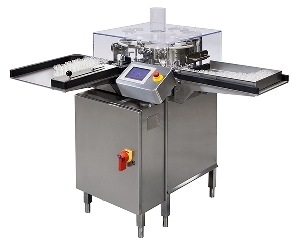 Features include: "no-tray present, washer does not start-up" and "tray full, washer stops".